Sea pens are a large and varied group of bottom-dwelling marine animals. There are more than 300 different species belonging to the group, with only some of them resembling the ancient quills they were named after, the others lacking the feather-like protrusion, looking more like clubs sticking out from the sea floor. Sea pen species are actually octocorals, that is, soft corals that have a polyp and eight tentacles. However, the polyps of the sea pen behave in a way completely different from other corals. As the sea pen develops, one of the polyps transforms into an erect and rigid stalk and it eventually loses the tentacles, too, becoming the pen’s root, while the other polyps start growing out of this root. The lower part of the stalk anchors the pen to the substrate, while the others keep growing and forming complex branches. The exposed, visible part of the sea pen can grow very tall, some colonies rising taller than 2 meters. In terms of coloring, they are really varied, with yellow, orange and white being the most common hues. Unlike most corals, sea pen species live in warm, but relatively deep waters, rarely settling in areas where the water is less than 10 meters deep, with some of the species being found very deep in the water, sometimes as deep as 2,000 meters. Their habitat ranges from southern California to the Gulf of Mexico, but they have been found in polar waters and in most habitats occupied by soft corals, too. Sea pen species feed mostly on planktons, filtering them from the water with the help of their polyps and they are also known to capture small particles of food with the help of their tentacles. They reproduce by means of synchronized spawning, releasing eggs and sperm into the water. Fertilized eggs become free-floating larvae that spend about a week drifting in the water before they find a patch of substrate suitable for settling. 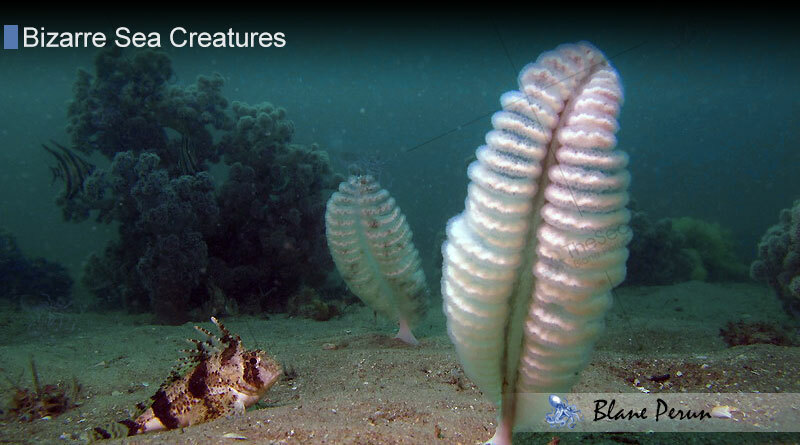 Some sea pen species reproduce seasonally, while others proliferate the year round if the conditions are right. If scientists are right and rings on the pens develop at a one-a-year speed, some of the larger pens can be 100 years old or even more. Being very sensitive creatures, these octocorals have developed a number of defense mechanisms to protect themselves. Most pens are able to engage in bioluminescence, the release of greenish light when they are touched or otherwise stressed in order to drive away the stressor. As another interesting feature, these pen-like animals are able to move to a certain extent. They are fastened to the sea floor with their stalk, but they are able to reach upward to catch food and they are also able to withdraw into their stalk if they sense any danger. If they are un-rooted and removed from their spot of substrate by stronger currents, sea pens are also able to re-anchor themselves.